Izzy Stetar and Chris Nacy were united at an open stage in the summer of 2006. The duo performed a few songs together and got a standing ovation from the crowd. From that moment forward, it was evident the chemistry, the love of the blues, and playing from the heart, will keep the two together "Preachin The Blues" for many years to come. Only a few weeks after meeting they were main stage performers at the 2006 West Virginia Blues Festival. Chris, born in St. Louis, Missouri, began playing piano at the age of seven. It was not until later in life he began playing harmonica. After playing open stages for a couple of years, Chris got a break. He became the harmonica player for the late, great Pittsburgh guitarist "Smokin' Joe" Bisgella. After Joe's death in 2002, Chris committed himself to playing music. Izzy's journey with the blues continued as he played countless blues clubs and bars from Pittsburgh to Memphis, and throughout the Southeast. Highlighting this point in Izzy's journey was winning best solo acoustic act at the Western Pennsylvania Blues Society Competition in 2006 and then becoming a finalist at the International Blues Competition held in Memphis. In May of 2007, Izzy & Chris signed a recording contract with 80/20 Music Entertainment and have finished recording their first release together titled "Preachin' The Blues...Vol 1" at Grammy Award winning studio Audible Images. Since signing with 80/20 Entertainment, Izzy & Chris have been main stage performers at numerous major festivals and also have had the opportunity to play live with such legends as Buckwheat Zydeco, Watermelon Slim, Keb' Mo, the Robert Cray Band, The Gibson Brothers, Dale Watson, Shemeika Copeland, Sonny Landreth, Hubert Sumlin, The Nighthawks and The Hackensaw Boys. Izzy & Chris have been winning over many fans with their live performances. 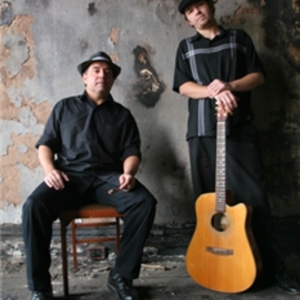 They most recently won over the West Virginia Blues Society judges taking first place honors among the solo/duo acts at the Appalachian Blues Competition in Charleston WV which earned them a spot in the 2008 International Blues Competition in Memphis TN.